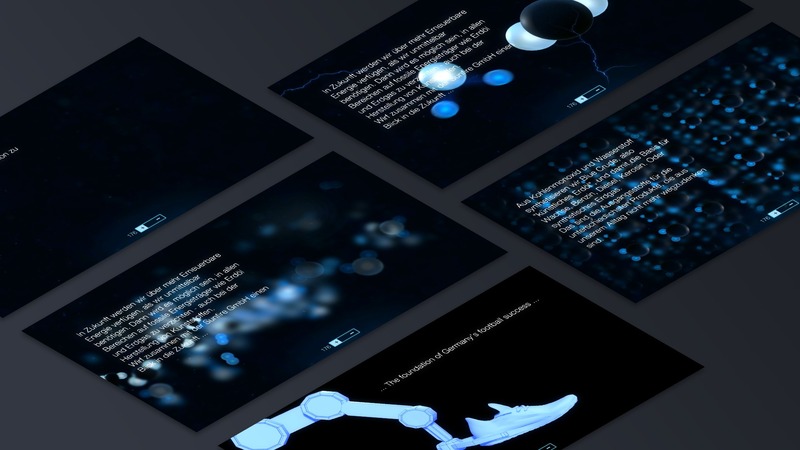 As part of the project for the German Ministry of Economy and Energy (BMWi), we developed a set of interactive applications along with multimedia and printing materials. 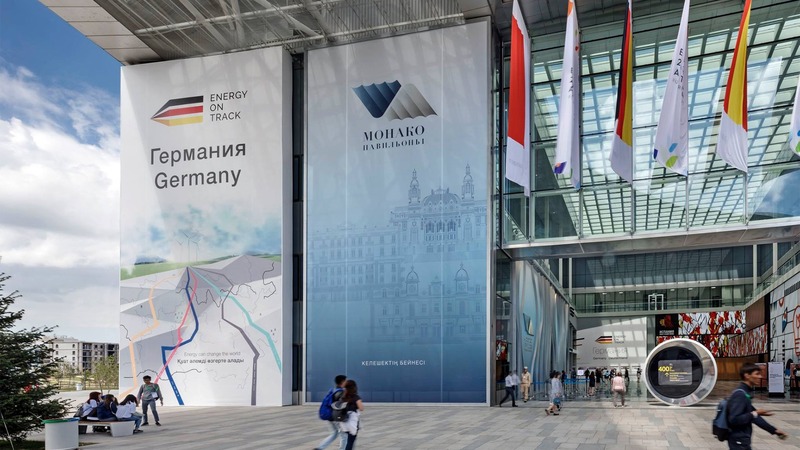 The project was connected with the construction of the German Pavilion for Expo 2017. It included a complete preparation of 12 interactive and large-format graphics stands. The World Exhibition, Expo 2017, was held in Astana (Kazakhstan) from 10th June to 10th September 2017. 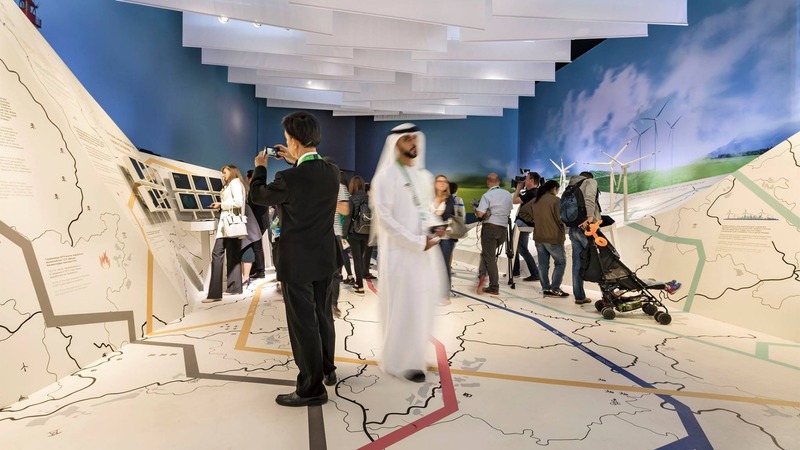 This edition’s theme was “Energy of the Future” – a topic relating to innovative and efficient energy solutions. In total, more than 100 countries from all over the world took part in that event. 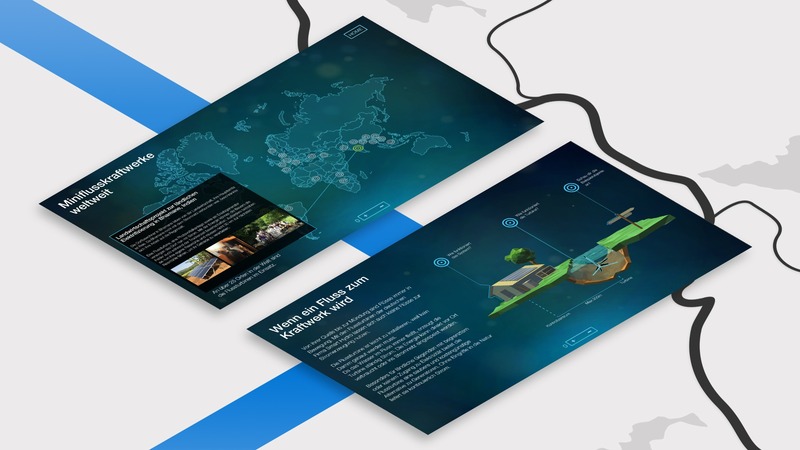 As part of the project for the German Ministry of Economy and Energy (BMWi), we developed a set of multimedia and printing materials. The scope of the project included preparation of 12 interactive and large-format graphics stands. 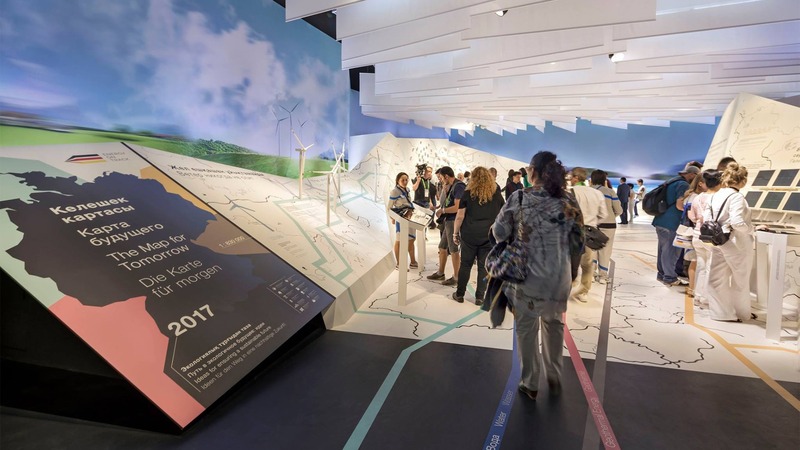 The theme of Expo 2017 was renewable energy sources. In order to fully present German achievements in this field, we created stands that combined visual applications and mechatronics. 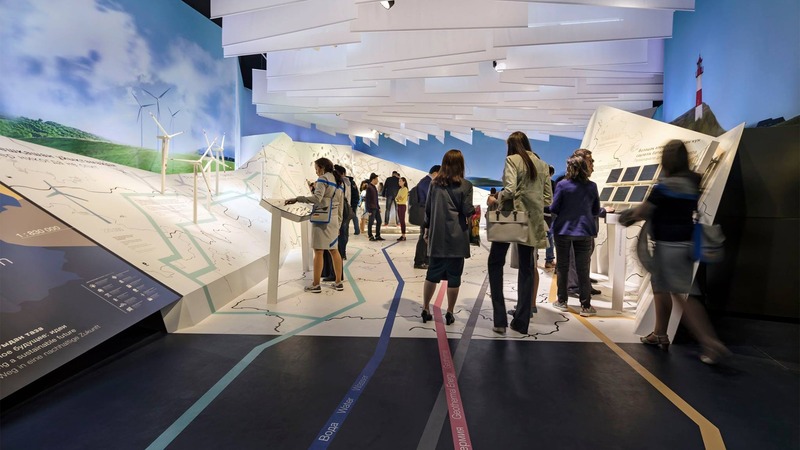 The RFID battery, which was virtually charged at each stand, was introduced as the app’s theme in order to increase visitors’ engagement and personalization. 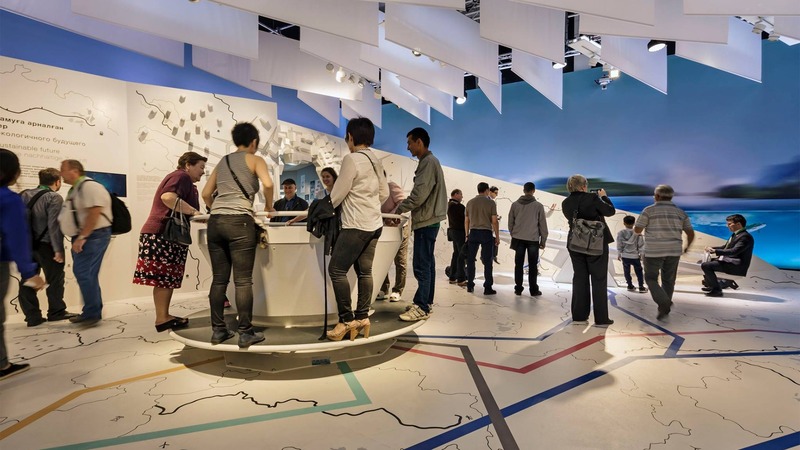 Stand referring to the area of energy balance (obtained from different energy sources depending on the time of day) – the stand was a multimedia table placed on a large inclined platform. This installation was recognized not only by the participants of the exhibition, but also by the prestigious Exhibitor magazine. 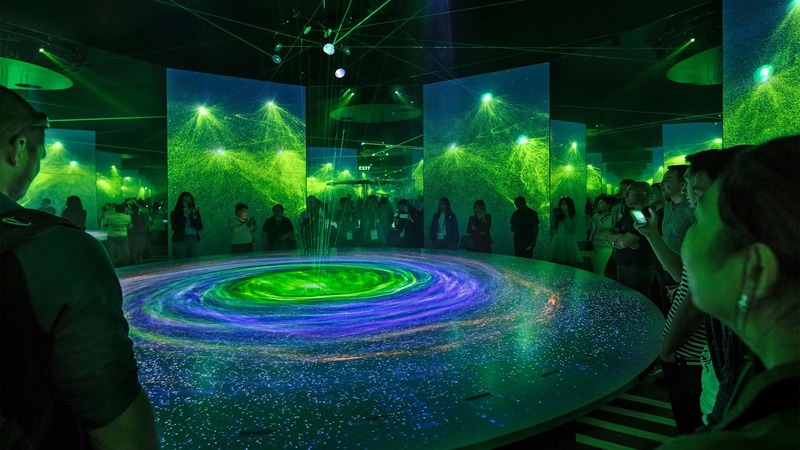 It received the title of the Best Interactivity of Expo 2017 (for more information click here). Smart Home stand – prepared in the form of a Magic Wall. The stand was built by combining an illustration painted on the wall with animations displayed by the projector. 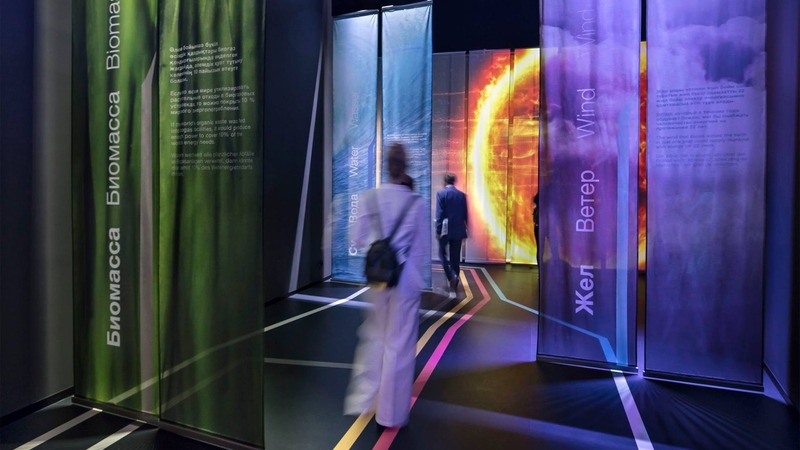 This way we achieved an effect which the visitors especially liked, by touching the existing graphics they could create an interactive animation. Power to Liquid stand – presented the phenomenon of materialization and dematerialization of objects. The stand had 2 screens between which a conveyor belt was placed. 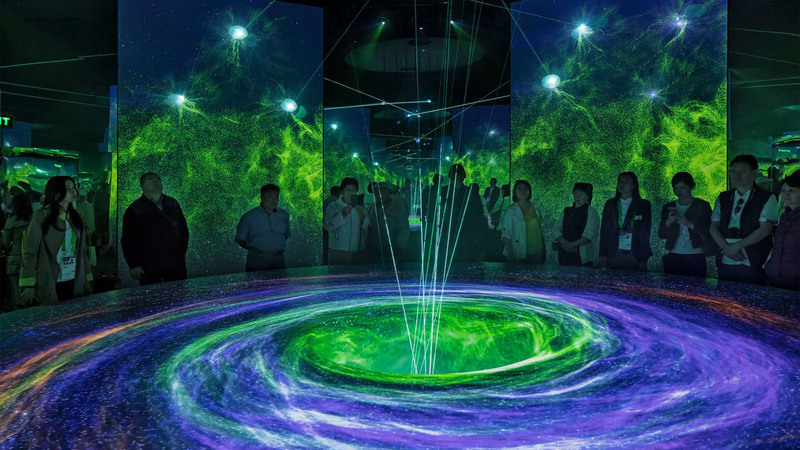 On the left screen, the visitors could see how an object materializes itself and appears as a physical object on the belt afterwards. On the right side, the object went through the process of dematerialization. 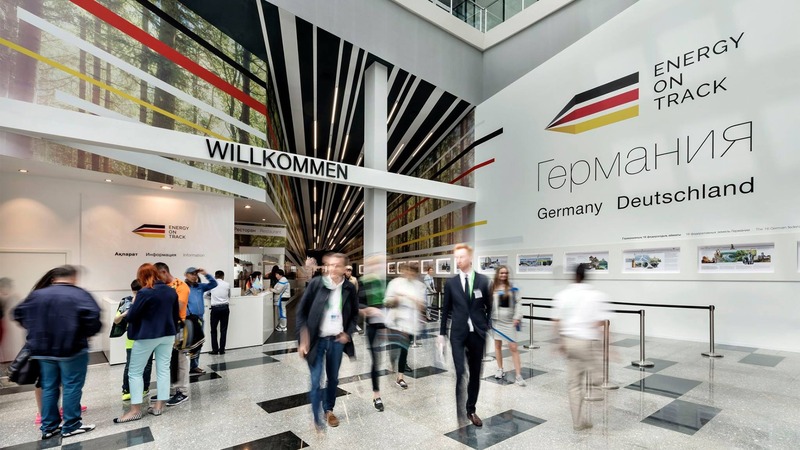 The stands which we prepared were shown not only during the World Exhibition – two of them (concerning “passive houses” and “smart houses”) are displayed by the German Ministry of Environment at many exhibitions and events.